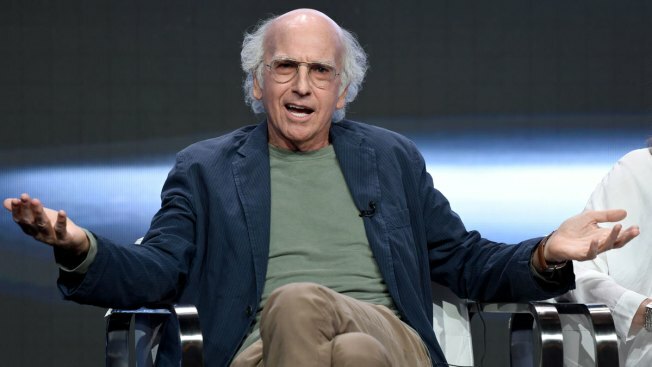 This July 26, 2017, file photo shows "Curb Your Enthusiasm" actor/creator/executive producer Larry David in Beverly Hills, California. Hackers continue to pester HBO, but didn't release any material related to the network's hit show "Game of Thrones" in their latest leak. The network acknowledged the hack in late July, and the thieves have been dribbling out stolen video and documents since then while demanding a multimillion-dollar ransom . Still, the criminals may be holding on to more damaging data — both intellectual property, like unaired programming, and sensitive personal information of HBO employees — that they can use as leverage to try to get money from HBO, said Gartner analyst Avivah Litan. HBO has said it doesn't believe its email system as a whole was breached. The company did not respond to messages Sunday.